We spoke with Stephanie Caddell, a registered nurse with years of experience working with patients in a remote care setting. In this interview, she discusses how the use of PGHD in remote care programs can mitigate inefficiencies in care and make interventions more impactful. This is the second in a three-part series; check out the first post here. How does remote monitoring help you manage patients more efficiently? Remote monitoring certainly allows a clinician to prioritize their day. It allows a clinician to recognize how aggressive to be with treatment based on previous patterns. The ability to see and better understand patterns based on patient-generated health data gives a clinician deeper insights into a patient’s behavior, and why they experience the outcomes they experience. This helps us deliver more targeted, appropriate care sooner. Similarly, with patient-generated data we can also see which patients are better able to self-manage their care, meaning we as clinicians can better manage those patients who need our help, rather than prioritizing check-ins with the patients already doing well. This saves time for care teams, improves operational efficiencies, and allows for more proactive interventions for high-risk patients. Traditional healthcare often faces knowledge gaps due to a lack of insight into patients’ health between doctor’s office visits. How does the collection of PGHD mitigate this? An office visit is a mere snapshot of a patient’s health. Often times, a patient may visit their physician’s office with a slightly higher blood pressure that the physician overlooks as “white coat syndrome.” What if it isn’t just nerves from being at the doctor, but in reality, is the beginning of a chronic issue? By having the patient remotely monitor themselves and track a pattern of blood pressures, the right course of action can be determined. The future is determined by the past. We have to have a “path of pasts” created in order to understand what that patient’s future health may look like. How do trends in PGHD help a team make care decisions or interventions? PGHD married with outside factors – including recent hospitalizations/ frequency, patient’s readiness on the behavior change scale, the patient’s support system, etc. – allows a team to prioritize how to approach care and how aggressive to be with care. For example, if a patient has high blood pressure with a high risk of exacerbation of congestive heart failure, but the patient is also dealing with depression, a clinician must delicately plant seeds with the course of action on the cardiac side while concurrently dealing with the mental health needs. PGHD can also allow a clinician to pick up on certain behaviors. For example, I once had a patient who avoided measuring their weight on Monday mornings. I eventually found out this was because the patient had a family tradition of Chinese food on Sunday nights. Through trust and conversation, I was eventually able to glean this information from her and we came up with an action plan on how to avoid the higher sodium options in order to maintain her weight come Monday morning. Her weight stabilized. Fostering a more personal relationship – a partnership – allows a care manager to build trust with the patient. That earned trust allows the patient to truthfully and fully communicate with the provider on their actions, understanding, and decisions. The data generated by the patient – in the home and on the go – serves as the foundation for those conversations and the foundation for that personal relationship. People trust people who care personally about them. How does remote monitoring impact your ability to triage patients? Remote monitoring can allow a clinician to prioritize their tasks based on patient education level, data outcomes, and reachability in order to get to the highest acuity patient first. This means that a clinician will be able to use the data available to confidently decide which patients are the highest-risk on a given day, and take steps to manage their health, before focusing on patients who are self-managing their condition. In what other ways can you see technology impacting the future of healthcare? Clinician involvement. 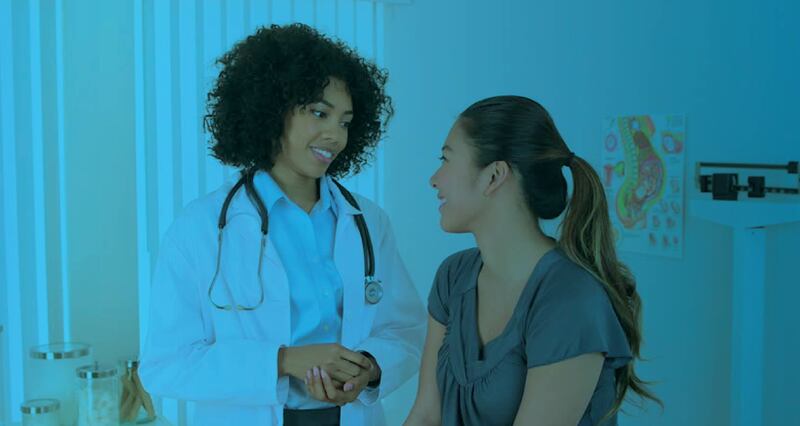 PGHD allows for the clinician to be more personally invested in their patients by offering a deeper understanding of the patient’s daily life. With this, it also allows for the patient to trust their clinician’s guidance and the clinician to better trust what the patient says he or she is doing outside the clinical setting. Medication compliance. PGHD allows for the clinician to be knowledgeable about the type of medication the patient should be taking, and whether the right course of therapy is being delivered. It also empowers clinicians to ensure the patient is being compliant with medication based on return data. The ability to self-manage. Each patient has their own place on the self-management spectrum. Some are ready to take action, and some may need some coaching along the way. Regardless, each patient has some ability to be involved in their care. Having the patient be more involved leads to greater investment in their own outcomes, leading to fewer hospitalizations and more cost effectiveness. The sky’s the limit when it comes to these three items. What if we were able to somehow gather data for a patient’s mental health, measuring how effective SSRIs are on a certain person’s brain chemistry in order to prevent suicide? What if we were able to measure heart rhythm patterns, gathering significant data to prevent sudden cardiac death due to arrhythmia? The key to this is willingness/readiness to self-manage, complying with medication, and clinician support to keep going in whatever direction technology guides our medical future. When clinicians have access to PGHD, they are able to gain a much deeper level of understanding of their patient and make more data-driven decisions in care. And, as this data provides an opportunity to clinicians, it is also giving patients or caregivers the chance to improve their connection and communication with their clinician, improving outcomes as a result. Missed the first post? Click here to read our first conversation with Stephanie Caddell, RN about the impact PGHD has on patient-provider communication and care efficiency. And, read the third and final blog in this series, where Stephanie shares her outlook on how access to continuous, near-real time data impacts care.